Many phenomena are subject to topological constraints: for example, two counties cannot overlap, two contours cannot cross, and the boundary of an area cannot cross itself. Topology is an important concept therefore in constructing and editing spatial databases. Figure 2‑7, below, illustrates the concept of topology, using the example of two areas that share a common boundary. 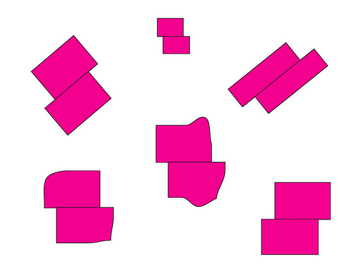 While stretching of the space can change the shapes of the areas, they will remain in contact (retain their adjacency) however much stretching is applied.